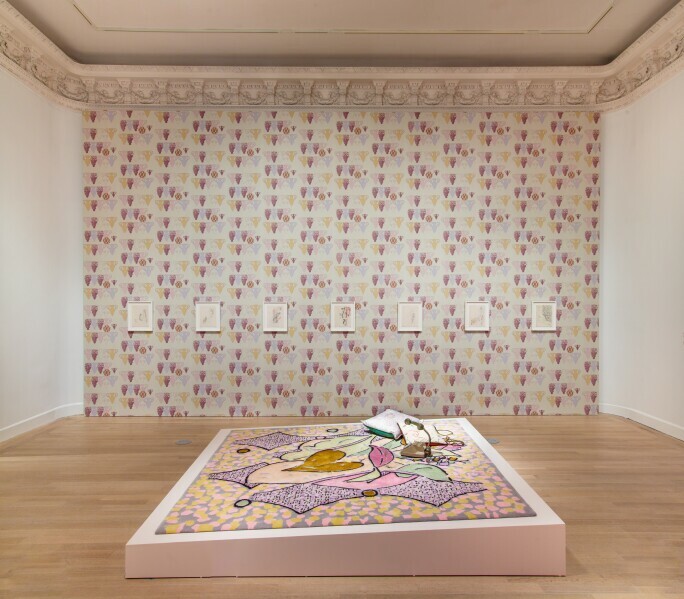 With the slightly provocative title, Your Place or Mine…, Marc Camille Chaimowicz makes his first solo exhibition in the United States with a dialogue on the home. In the midst of our current political climate, the definition of “home” and the gender associations of the domestic has frequently been a topic of discussion. The Jewish Museum brings this into light with the pleasant, yet surreal display of Chaimowicz’s peculiar objects. 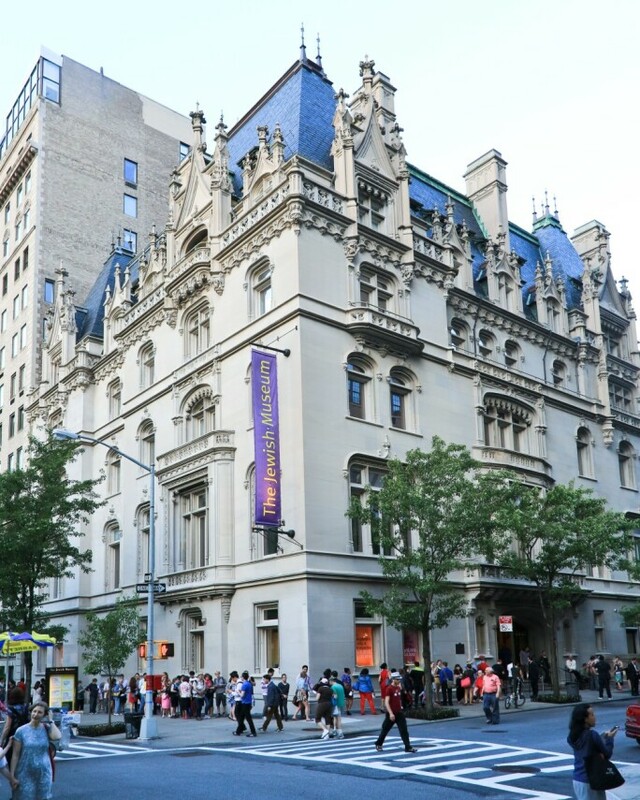 Influenced by themes of daydreaming, contemplation and intimacy, the exhibition references the Jewish Museum’s location near Central Park and emphasizes its history as a former residence. Featuring works on paper, draperies, textiles, wallpaper and creative design, viewers move from one room of the domestic sphere to another, beginning with Le Bibliothéque, then Le Salon and finally through Le Jardin Publique (or Public Garden), a narrative that plays on a dichotomy between interior and exterior. 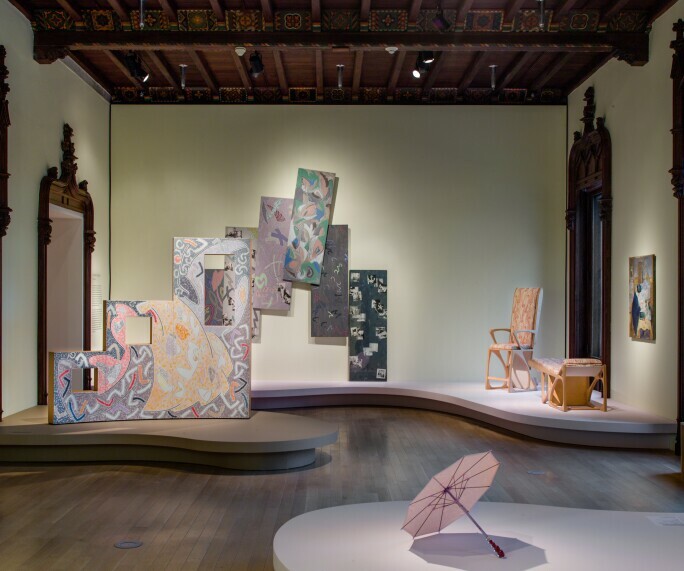 On first approach to the exhibition, a coat rack greets viewers, introducing the space as a residence, with sports jackets that match the wallpaper surrounding it. Each pattern is inspired by decorating techniques of Central European working-class families, calling into question a definition of identity. Passing from one room to the next, Marc Chamille Chaimowicz challenges viewers to examine, not simply look at, the patterns, the colors, and the smallest details that define space and comfort. The son of a Polish Jewish father who survived Nazi occupation and a French Catholic mother who worked as a couturier seamstress, Chaimowicz is no more a stranger to trends and fashion as he is to the affects of war and the confusion it precipitates. Chaimowicz manifests this through a practice that blurs the line between fine art and design. Each room evokes a sense of the surreal, possibly paying homage to Man Ray, with works such as Desk on Decline, an abstracted and contorted piece of furniture that exceeds the necessity for function and rather serves as a physical rendition of the imagination. Marc Chamille Chaimowicz: Your Place or Mine… will be on view at the Jewish Museum from 16 March to 5 August 2018.